If you are an avid Microsoft Office 2016 user, then you may know that new features are being added all the time. Once you pop open an application like Word or PowerPoint, for example, you are greeted with that little what’s new box. 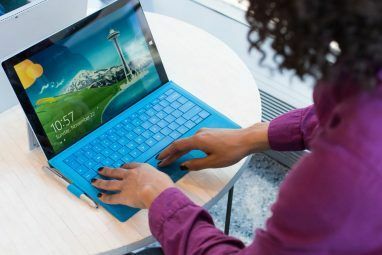 Whether you check out those fresh features or simply move on, knowing what’s new can be beneficial to increasing your productivity 10 Handy Productivity Add-Ins for Microsoft Word 10 Handy Productivity Add-Ins for Microsoft Word Add-ins can completely change your workflow. If you no longer have to leave your document for small tasks, your productivity will soar. 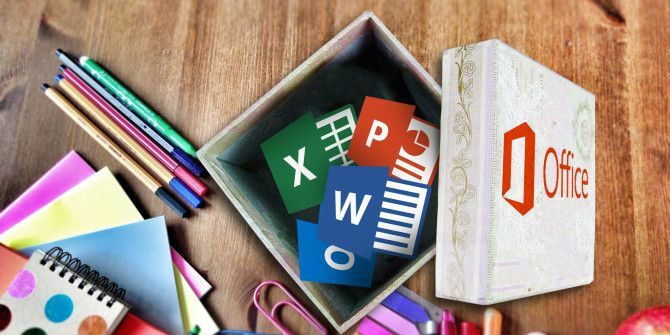 Try out these 10 mini apps for Microsoft Word. Read More . Here’s an overview of the 10 best new features you may have missed. Now you can archive items in Outlook with a single click by using the Archive button. Plus, browsing or adding new groups is simple with the addition of those two group buttons. If you do not see the new buttons, you will have to add them to your ribbon How to Optimize the Office 2016 Ribbon or Menu Interface How to Optimize the Office 2016 Ribbon or Menu Interface Do you often search for menu items in Microsoft Office? It's time to re-arrange and customize the Ribbon menu for your personal needs. You'll be surprised how flexible and easy it is! Read More . To do this quickly, just right-click on the ribbon and select Customize the Ribbon. Then search for the commands on the left and add them to the right. 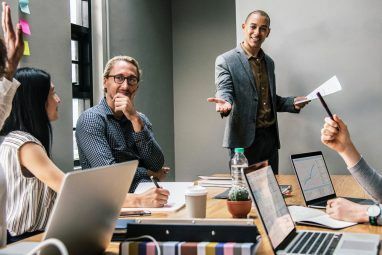 For adding comments and sharing with ease, Word and PowerPoint contain great collaboration features 13+ Reasons You Should Upgrade to Microsoft Office 2016 13+ Reasons You Should Upgrade to Microsoft Office 2016 Microsoft Office 2016 is here and it's time for you to make a decision. The productivity question is -- should you upgrade? We give you the new features and the fresher reasons to help you... Read More . You should see the sharing and commenting icons at the top right above your ribbon. In addition, you can quickly view previous versions of a document with the Activity button on your ribbon. Once clicked, the side panel will open, showing what has happened with your document. For capturing someone’s attention quickly, Outlook 2016 has a feature called Mentions. When crafting an email or calendar invitation, type the @ symbol and the first few letters of the person’s name into the body. You will then see a drop-down box displaying options from your contact list. Once you select one, not only will that person’s name be highlighted in the message or invitation, but it will also automatically pop into the To line. Additionally, you will be able to sort your inbox by Mentions. Some features added to Office 2016 are available across multiple applications. One such feature is the ability to publish documents to Docs.com. Select File > Publish and you will see the Docs.com options including document title and visibility choices. You will need an account with Docs.com and you can create one using your email address or you can sign in with Facebook or your Microsoft account. Power BI is a service that can transform your data into interactive reports. 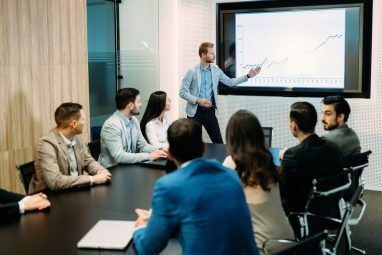 Using the business dashboard, you can monitor, analyze, and build models Microsoft Excel + Power BI = Data Analysis Bliss Microsoft Excel + Power BI = Data Analysis Bliss Need help turning your data into something useful? Microsoft's Power BI can visualize your data and create automated reports. We show you how to set up your first Power BI dashboard. Read More easily. Select File > Publish to upload workbooks or export workbook data directly to and from Power BI. This handy tool is perfect for term papers or business research. Select Researcher from your toolbar and then enter your search term in the sidebar. Once the results display and you choose those that you want, you can add headings to start your outline and cite the sources directly from the Researcher tool. You can also include images you find by simply dragging and dropping them into your document. If you have a great idea for a feature in Outlook, you can now suggest it with a click. Select File > Feedback and click the Outlook 2016 Feedback button. You will then be redirected in your browser to the Outlook Suggestion Box, where you can vote on a suggestion or enter your own idea. Similar to Word, you can now use a text highlighter in PowerPoint. Make certain parts of your text really stand out with this convenient and overdue feature. Make sure you are on the Home tab and then select your text. Next, click Text Highlighter and choose your color. Summary Zoom puts the pieces you select onto one slide allowing you to jump between them. Slide Zoom lets you navigate slides in any order that you choose. Section Zoom allows you to pop back to previous sections easily. Select Insert > Zoom and then choose the type you would like to use from the drop-down box. If you are interested in seeing the newest features while you have an application open, you can check these out any time. Select File > Account > What’s New to access the pop-up window which also contains a link to Learn More about those features. If you are not seeing a new feature and are an Office 365 subscriber, make sure that you have the latest version Upgrade to Office 2016 for Free Today with Your Office 365 Subscription Upgrade to Office 2016 for Free Today with Your Office 365 Subscription Microsoft Office 2016 for Windows has landed and it brings many smart new features. If you have an Office 365 subscription, you can get it now for free and we show you how below. Read More of the software. Select File > Account > Update Options to update the software and also view what is included. Keep in mind that many new features are rolled out to Office 365 subscribers 11 Frequently Asked Office 2016 Questions Answered 11 Frequently Asked Office 2016 Questions Answered Office 2016 is looming and raises many questions. Do you have to buy a subscription, can you upgrade now, and can you go back to Office 2013? We compiled frequently asked questions and provide the... Read More and Office Insiders first. So, if you do not see a feature in your application yet, just know that it is being tested and is on the way. Also, if you are interested in more information about becoming an Office Insider This Is Why You Should Join the Office Insider Program Now This Is Why You Should Join the Office Insider Program Now Office 2016 is Microsoft's flagship office suite. Office 365 subscribers can join the Office Insider Program, where they get to try new features before anyone else. We'll show you the benefits and how to enroll. Read More , signing up can provide you with early access to new features and allow you to provide feedback on them. You can visit the Office Insider page for further details. Is there a specific feature for Microsoft Office 2016 that really stands out to you? Maybe there is one that makes your work life smoother or your school life simpler? If so, please share your comments with us below. Explore more about: Microsoft Excel, Microsoft Office 2016, Microsoft Office 365, Microsoft Outlook, Microsoft PowerPoint, Microsoft Word.